To answer that question, let’s break it down—first, taking a look at why we consider mice pests and second, what makes them super. OK, everybody knows why mankind calls mice ‘pests’—they’re destructive to property and agriculture, they can host parasites, carry bacteria, and they have a long history of spreading all kinds of diseases. 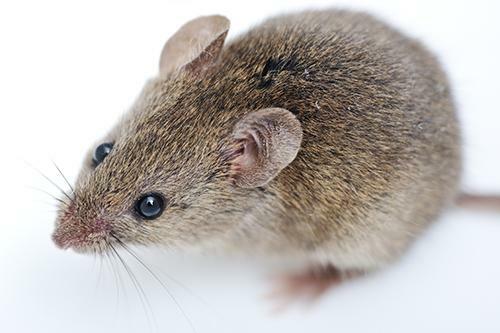 What you might not know is that the very origin of the word ‘pest’ is tied directly to mice. Let me explain—if you grab a dictionary or google the meaning of the word ‘pest,’ you’ll find a definition that goes something like, “a troublesome nuisance.” That’s the common meaning of the word—but here’s the kicker, while you’re looking at that definition, you’ll also find the word’s earliest usage, “the pest,” meant bubonic plague. And as you might have learned back in high school history class, mice helped spread the bubonic plague. The worst part is that to this day, the Center for Disease Control and Prevention still needs to remind us that mice can lead to the transmission of plague as well as diseases like pulmonary syndrome and leprosy. So there’s no denying that mice are pests, but what makes them super? Let’s answer that with an awesome listicle: 6 Scary Real-Life Super-Powers of Mice. 1. Mice are super adaptable. They can improvise on the drop of a dime. Mice have the incredible ability to adapt to changing surroundings and environments. From the cargo holds of merchant ships to surviving in deep forests or finding refuge in houses and barns—they act fearless in new surroundings or in the presence of new objects, unlike many other animals. That makes them daredevils. Their courage for exploration is only heightened by their agility and flexibility. Mice can also use their urine as a way of leaving breadcrumbs to mark where they have previously explored. In short, mice are exploratory by nature and can find their way in and around a home easily. Super reproduction might not seem like a great superpower, but it’s what makes mice populations often seem indestructible. Mice are polyestrous, which means they can breed year-round if living conditions are ideal. In a safe environment where there is no shortage of males, a female mouse can produce anywhere from 7-8 litters a year, with each litter averaging around 10-14 pups. That’s a lot of mice! Their ability to adapt to harsh conditions coupled with reproduction in large numbers make mice one of the most successful mammals at survival. 3. Mice have super-speed & creepy climbing powers. A mouse can run up to 8 mph, which may not seem like much. However, to put things in perspective, that’s the speed equivalent of an average sized human being running up to 160 mph. That certainly explains why they can be so difficult to catch. Mice can also run across telephone or power lines, as well as wires—better than any human tightrope walker ever could. There are not many mammals that can scale rough surfaces such as tree trunks or brick walls vertically like mice. Their small claws allow them to latch onto most surfaces and climb quickly. In addition, mice can use their whiskers to sense whether a surface is smooth or rough and suitable to climb. If necessary, mice can also survive a fall of 10 – 12 feet. 4. Mice are super scary swimmers. Although not their preferred form of travel, mice do exceptionally well in the water. Exhibiting great endurance and flexibility, mice can swim and tread water for up to 3 days. When fully submerged, mice can also hold their breath for up to three minutes. Compare that to the two-minute average for humans, and it’s certainly impressive. Their swimming ability has also been used as a control group by scientists to test certain antidepressants. It seems there are no conditions a mouse can’t handle. The next time you think to flush a mouse down the toilet, remember that it may very well find its way back up! When it comes to sound, mice can a hear a much wider frequency range (1 kHz – 70 kHz) than humans (20 Hz – 20 kHz). In general, larger mammals hear at lower frequency ranges than smaller mammals. To communicate with one another, mice hear and produce a high frequency (ultrasonic) sound inaudible to the human ear. With poor eyesight, mice rely heavily on their keen sense of hearing and smell to help them navigate along conduits such as baseboards or air vents. Utilizing our knowledge of sound frequencies, ultrasonic devices have been produced that emit a high-frequency tone acting as a repellent against mice and other rodents, although there have been mixed reviews about their effectiveness. 6. Mice have body-morphing powers. Mice are super burrowers—they have an uncanny talent to squeeze through tight spaces. While they don’t have collapsible skeletons like many believe, in most cases, with the help of their oily coats, mice have the ability to compress their bodies down to fit through openings no bigger than their skulls—about ¼ of an inch or the size of a dime. Their fur certainly makes them appear bigger than they are, but this feat is impressive nonetheless. On top of that, mice use their teeth to burrow and gnaw on just about anything. The weird thing is, as their teeth wear down from chewing through things like wires and your walls, they keep growing. In fact, mice teeth can grow up to 5 inches in a single year—that’s about twice the length of their entire bodies. In a world where we’re frightened of mice as much as they are of us, nature has found a way to prevent overpopulation even if humans can’t. In a famous series of experiments conducted by John B. Calhoun in the late 1960’s, Calhoun created a rodent utopia where food and water were in endless supply and living space allowed for increasing growth. Over a two-year period, in this utopia, a small population of rodents lived, flourished, and reproduced to grow to a huge colony of 2,200. After this milestone was reached, however, Calhoun noticed that the colony began exhibiting strange and self-destructive behaviors. By the end of the experiment, the population was all but gone. The rodents had driven themselves to extinction. Calhoun’s experiments have since been lauded as being allegorical to the potential rise and fall of mankind. Let’s take a look at a couple more interesting facts. We’ve covered a lot of ground sharing facts about how mice posses creepy abilities making them a super nuisance, but they’re not all bad. With these extraordinary talents, it’s no surprise that they are used by behavioral scientists and researchers as the subject of countless studies. Also, certain species of mice can even make great house pets… until they escape their cages. With our collective expertise of mice and other pests, Joshua’s Pest Control is not only dedicated to sharing knowledge, but also providing the highest quality pest control services in town—we’re here to help make homes healthy and comfortable for families. If you have any questions about a possible rodent infestation or would like help with preventative care, we’d love to hear from you.